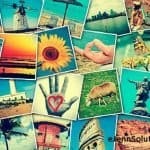 Home » How To Add A Manager To Your Google+ Page! Here is a quick and easy step by step instruction to help you give someone “manager” access to your Google + Branding or Google+ Local page. In order to add managers, you must be the “Owner” of your Google+ page. Keep in mind, “owner” is linked to a particular email address, so make sure you are in that Gmail email when trying the steps below. Once you have added the email address of the person you want to make Manager of your Google+ page and clicked “invite”, they will receive notification of the invite from Google. Once the email is received, it will have instructions to the new manager of how to access the page and work within your Google+ page. They will also have to abide by all user terms. Managers have a lot of access and abilities within each page, so choose wisely who you wish to have access. The two major abilities they do not have is to delete the page or assign their own managers. Only the owner of the page can do that. I can’t see the “Managers” on the top bar. My account has been verified and I am the owner. Has G+ changed since you wrote this? The managers tab is still in the same place. I’ve re-checked both Google local and Google branding pages. These instructions won’t work with a Google profile page – just business pages. The “Managers” tab will not show on Google+ profiles – so make sure you are in the Business page before going into the settings function. Hope that helps!